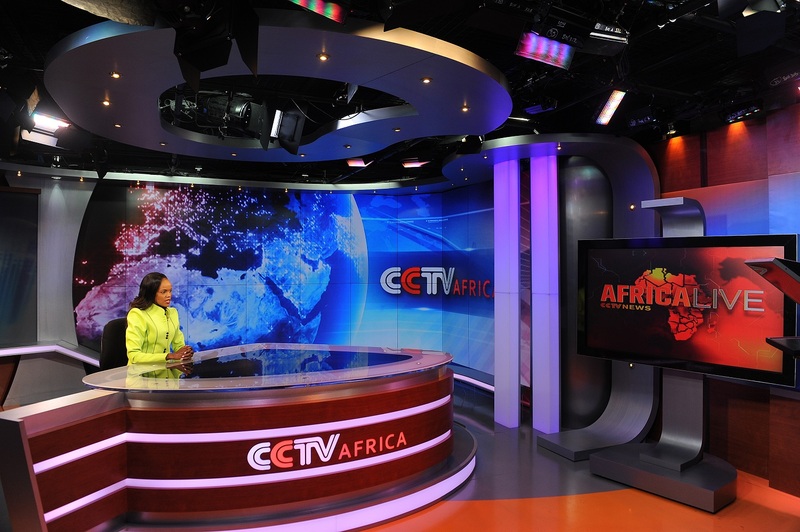 CCTV Africa news presenter Beatrice Marshall in the network’s studio in Nairobi, June 12, 2012. The Chinese media presence across Africa has expanded dramatically over the past ten years, as Beijing has built a vast distribution network for its newspaper, radio, and TV content. China’s flagship TV network, China Central Television (CCTV), broadcasts daily from its regional hub in Nairobi, China Radio International broadcasts in several local languages, as well as Chinese, in places like Dakar, and the China Daily newspaper is even printed locally in Nairobi. Although there is a growing variety of Chinese content available in Africa, news programming remains at the center of Beijing’s media strategy. The Chinese government, as well as many in Africa, has long bristled over how the Western media frames the news in Africa. Western news outlets, critics argue, have created a set of so-called “embedded narratives” when reporting on Africa. These commonly-seen narratives too often reduce Africa and its people to a number of deeply-entrenched caricatures that range from starving babies and dancing children to endless war and the land of safaris. So China aims to portray a more upbeat view of Africa on its various news platforms. This means you won’t see coverage of Sam Pa and his allegedly corrupt influence network, or inappropriate Chinese arms sales to South Sudan. Instead, CCTV newscasts feature positive stories about “win-win relations” and how African leaders praise China’s role in African development. Not surprisingly, CCTV and other Chinese news outlets are widely panned in the West for promoting propaganda and not accurately reporting the news. While that certainly may be the case in some instances, Zhang argues that it is not accurate to compare Chinese and Western journalism in Africa as they do not have the same objectives. Whereas Western journalism’s objective is to inform, Chinese news content is considered to be an extension of Beijing’s broader political and diplomatic agenda. Zhang Yanqiu joins Eric and Cobus to discuss the role of Chinese media in Africa, journalism in particular, and why she thinks it is so important that there are new voices in the market there to challenge the longstanding Western narratives about the continent.